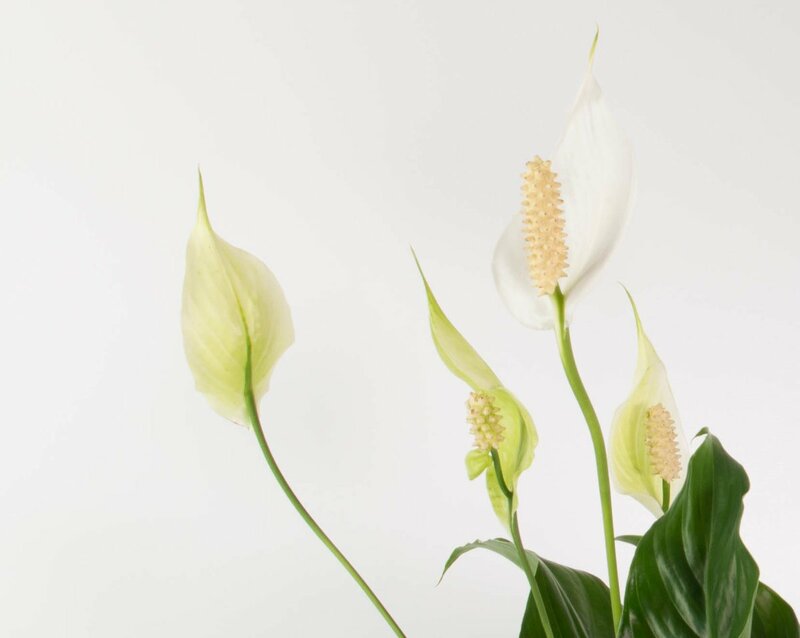 A classic indoor plant made modern with a concrete planter. 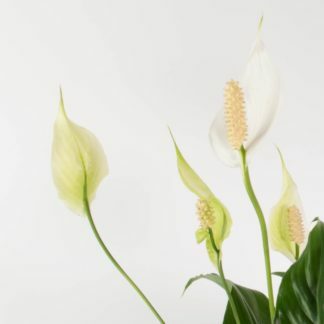 Dark glossy leaves and white cobra-shaped flowers, NASA tells us this beauty is also great at removing toxins from the air. Reward it with a well-lit, warm, draught free spot. Supplied in a 12cm black plastic nursery pot. This white paint dipped concrete pot by General Eclectic is finished by hand so each is unique. The inside of this pot is painted white also. 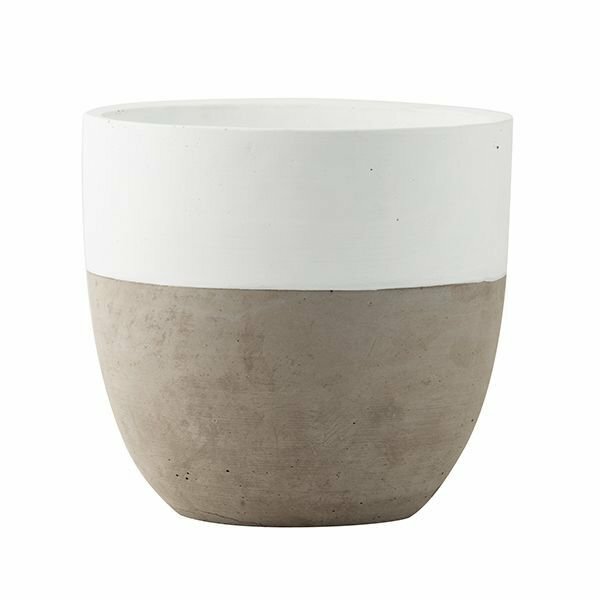 Planter dimensions: 20.5cm x 19cm tall. 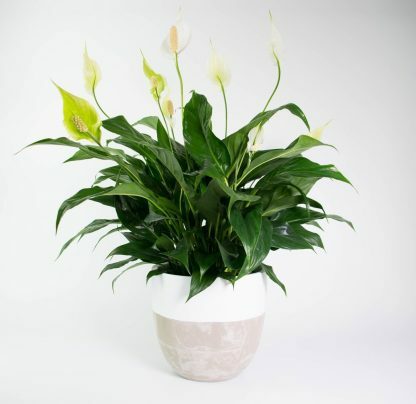 This pot is currently only available for delivery with an indoor plant.